Deer lease considerations for examining any hunting lease option as comparison to Mid-America Hunting Association self guided private land deer hunting. Not having an idea of available deer lease options frequently is a cause of not having an idea of what to use as decision criteria. Within this article we offer a listing of deer lease types, pitfalls and lease selection criteria. At its end a description of our private land self guided hunt option we provide in Kansas, Missouri and Iowa. My deer lease. An often first thought for many who seek a trophy. Or, one place just for any hunter. Pitfalls of my deer lease approach include if a hunter is not in proximity to regularly put eyes on his lease it is likely it will not be his alone. A next consequence of a limited acreage lease is hunters place all their eggs in one basket so to speak. 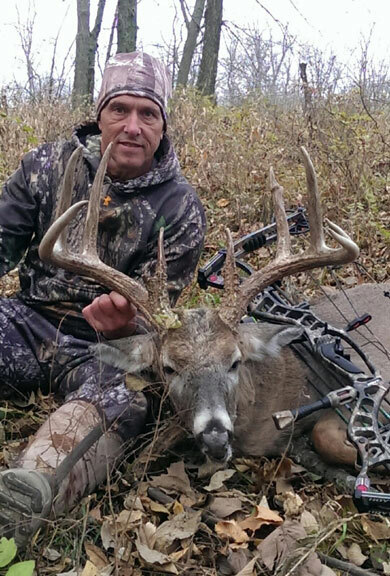 One lease needs to be large to have isolation necessary to hold trophy quality racked bucks. If not, then hunters have done more good for our economy than their hunts. Contrast to our lease approach where every one scouts as many spots as he has time. Most scout over 2,000 and up to 4,000 acres of land. 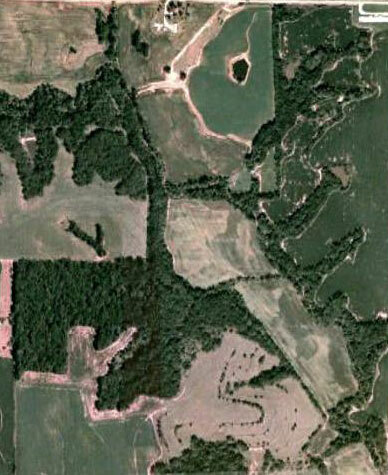 In that acreage most have up to five farms they consider first choice deer hunting spots. Each may then pick and choose from day to day where he wants to hunt. A flexible lease approach creates options at finding big bucks. Over years all may build on success by furthering his scouting covering more lease land. 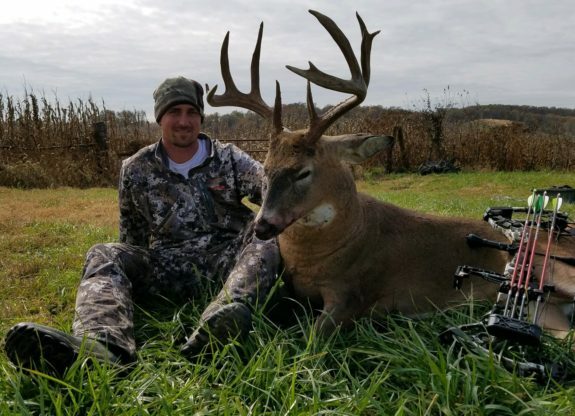 A matter of covering more ground to interdict a moving trophy whitetail. Or, a reduction of need for luck of hoping a buck of choice shows up on a single spot. A classic deer hunting lease where a small group of friends join financial power to lease ground for their exclusive hunting use. Works great if a group can compromise on stand locations, hunting methods and quality standards. All combine to equally work food plots, clean camp, etc. For these same reasons is why this lease option is least employed of all. Overcoming personal preferences in a business lease agreement is an on going struggle which never seems to get satisfied. 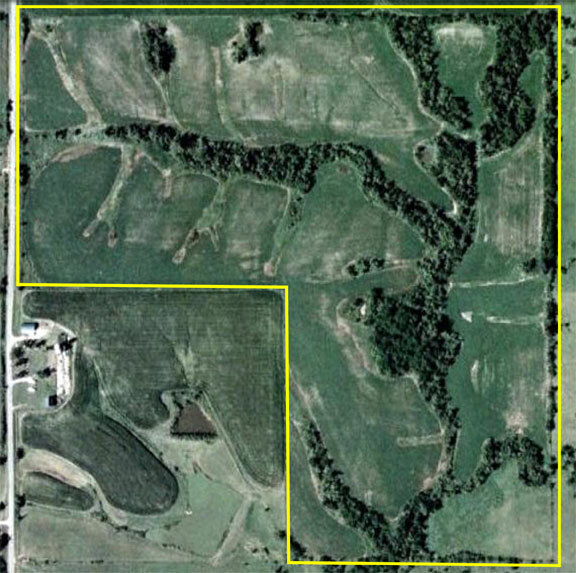 Contrast a small acreage lease approach to Mid-America’s collective buying power of acquiring large acreage farm land. Common description is a non-resident has a lease in either Kansas or Iowa. Hunts it when he gets a tag. This same hunter then tries to get others to hunt it for pay to pay lease costs on years he does not successfully draw a tag. But, quality of other hunters, problems they may occur with landowner/lease holders such as attempts to secure it for themselves, plus more occur. After a couple of seasons of any partial use lease hunters typically seeks a better option. A group lease of disconnected individuals who team up under a set of rules to gain better land. These are individuals who can hunt on their own. Requiring only a land resource to do so. A system which works great if members are willing to pay for administration and enforcement of hunting lease rules/contracts. Without this key aspect it is doomed. MAHA provides just that. Hunters are left just to enjoy their hunts. No hassle with lease contracts, influencing friends on where to hunt, no sucking up lease payments on years not drawing a tag. There are several deer lease criteria to consider. None are new ideas. Especially to those having had their own private land lease before. Its discussion here is for readers and us coming to agreement on a foundation for success. First are creation of options. Deer will make a liar out of most far more frequently than most are willing to admit. One enhancement to a successful whitetail hunt in terms of any lease are inclusive options of where and when to hunt. More spot options equals better. Options include multiple food sources to ensure a more stable year round whitetail population. Not possible on a small acreage lease. Year round water as deer will, must, drink every day. Multiple types of habitat to accommodate seasonal weather and behavioral changes. Again hard to achieve on a small acreage lease. Without this last bit there will be far fewer deer that have one piece of ground as their core or home range. Home range is first and foremost established and sustained by having a ground cover area which suits doe to give birth then raise their fawns. Lease length is an often forgotten aspect. Many folks take a wrong approach. It is common that they will try a deer lease for a year. If it works, come back to lease it for another year. Where to hunt must have a long time history of trophy production. There will also be regions of better trophy production over other regions. Knowing locality difference of which region is better makes for more or less eyes-on and tag-on success. Or, where to acquire lease land. And, this one part is hard to learn without location based information. Record books will come to mind as a source for good regions. They may help. However, talk to all known whitetail hunters with several racks mounted. Ask how many certificates does one person have. A common answer is his first record book buck has a certificate. After the first all others are unknown to any book. Further, do all mounts come from a single spot? Most likely not. Through this Association multiple hunting spot options are available without any requirement to manage any. Most accomplished hunters take time to learn ground. It takes multiple trial and errors before desired trial and success. A golden nugget of a spot on any lease may be hidden until having enough time on it to detect seasonal patterns. Giving up a lease before that point is simply jumping from property to property. Or, more likely lease to lease helping our economy more than his hunting. There are other deer lease options to consider, However, using these criteria when evaluating any possible lease opportunities is more likely to come to a better decision than without them. And, our self guided hunts options in Kansas, Missouri and Iowa satisfies many of these decision points. Do it yourself or self guided hunt. Any time during any deer season. As often as he has time. Within our system when he hunts a piece of land he hunts it alone. We offer three prime, well known deer hunting states. Within each of these states we make the entire state available for selecting deer habitat in regions having a history of deer production. We handle all deer lease administration of written contracts, landowner liability insurance, patrolling, to insure we get what we pay for. Pitfalls occur in all systems. We work to avoid them. Hunters only scout then hunt. We are not a perfect operation for all. Most will find us to be one more comparison option to come to a better decision that fits any hunter.